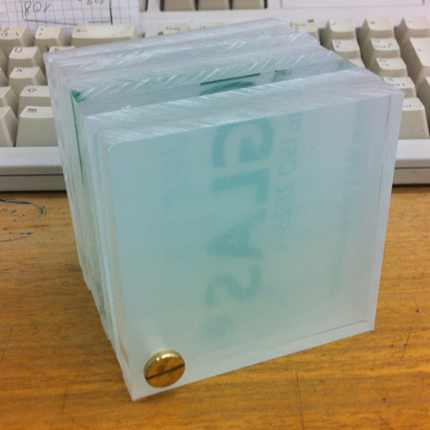 For Technologies class I was asked to make a cube, in any material and with any function. 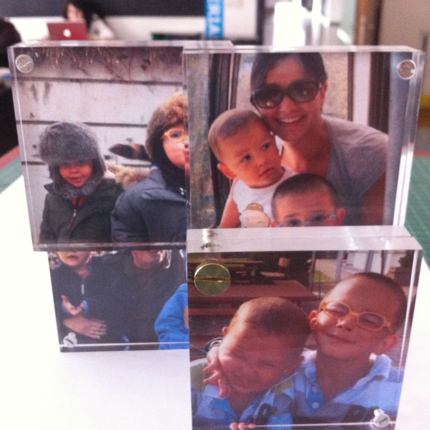 I thought of those cubic photo frames at once, and I decided to give that a little twist. 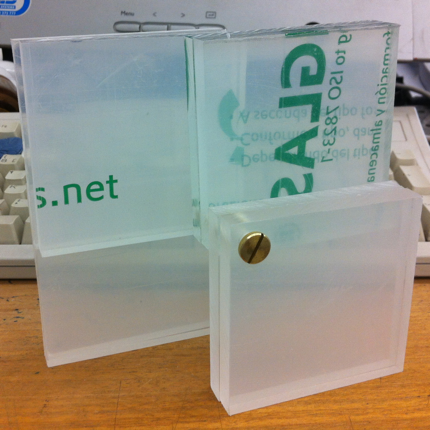 Also, working with perspex is fun. I cut 8 squares and joined them together with a pivot. Sounds easy, the whole process took me one week, mostly because I had to produce my own custom pivot, which involved making a screw from scratch. Each photo is sandwiched between two squares and kept together with a little screw. Sounds easy. It wasn’t. I’m so happy it’s finished. I always have these ideas with methacrylate, and they turn out to be 100 times more time consuming than I think. But it’s always worth it: so shiny! Geniale! Se lo commerci lo prendiamo! 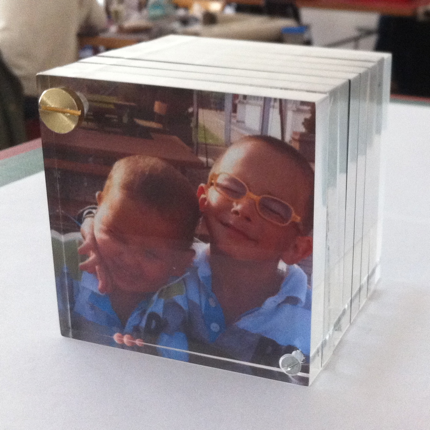 I love the cube the pics of all of you are sensational, my boys are so handsome. Love you!